With literally dozens of different types of Nespresso machines, it’s difficult to know which is going to suit you best Nespresso machine but be assured there’s something for everyone, including every taste and all budgets. Whether you’ve only got $50 to spend or your budget runs into $500 there’s a coffee machine that will give you a great tasting cup and last for many years. Now, the cheaper end of the range such as the Inissia (entry level) doesn’t have as many features as the more expensive machines. For example, the higher end products come with larger water tanks and bigger capsule bins. The expensive models also offer memory programming and lots of them come with milk frothers. The all-singing, all-dancing Nespresso machines can even memory programme your favorite type of coffees and you’ll find they’re made out of more robust, premium quality materials such as aluminum and stainless steel. Also, check our list of the best coffee makers for 2019. Really technology-savvy machines are even operable via Bluetooth so you can order a coffee from your phone! 6.7 x 16.1 x 12.2 in. 7.9 x 3 x 3 in. 12.8 x 6.1 x 10.5 in. 12.6 x 4.7 x 9 in. Nespresso – a name that most people, around the world, are very familiar with, say Nespresso and almost everyone conjures up images of coffee. However, what else do you need to know about the brand? It’s definitely a high-quality coffee name and one with a presence in almost every country. In this piece, we’ll explore everything you need to know about Nespresso, including the Nespresso machines, Nespresso coffee, flavors, the capsules and any advantages or disadvantages you need to know about. 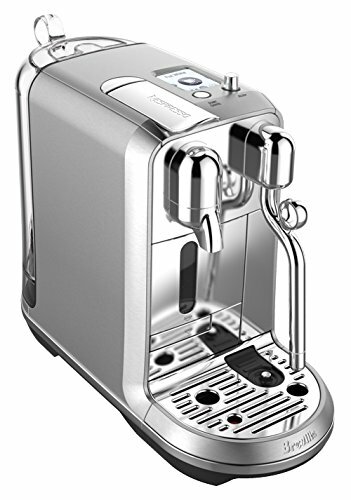 The best affordable Nespresso Machine is the Essenza Mini by Breville but beware, it doesn’t have a milk frother. It has a 0.6-litre reservoir and retails at around the $140 mark (depending on where you buy it from). Reliable, durable and good-looking, this type of espresso machine is perfect for you if you have a small kitchen or not much room for storage. It’s also exceptionally easy to use. You simply put your espresso cup underneath the spout, insert the pod you want in its position and then select from the one cup or two cup buttons. The machine heats up water very quickly and you’ll have a great cup of coffee ready to drink in less than two minutes. All you need to do is remove the drawer after use and empty the contents (as well as rinse it through to remove any residue). 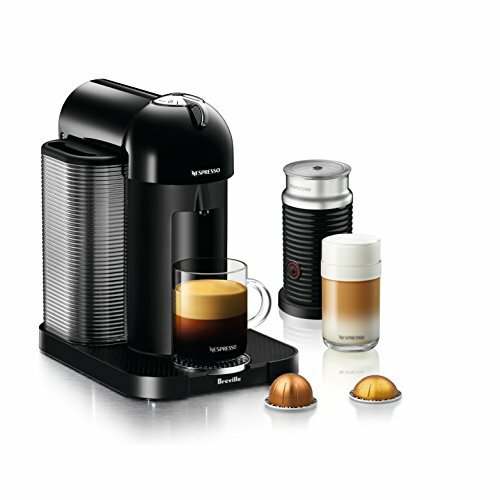 If you’re not concerned about splashing some cash, then you should buy the Nespresso Breville Creatista machine which is one of the high-end Nespresso products and comes with a much larger 1.5 litre reservoir as well as intuitive controls and a milk frother. It’s not cheap though, at around the $600 mark but it’s a good, solid, reliable coffee machine that will last you for many years to come. Well-built and interactive, it comes with an easy-to-read LED screen that offers eight different coffee types, from quick espressos to macchiato and everything in between. The milk frother works automatically, just adjust it to the setting you want and press the button for a very frothy and creamy finish. 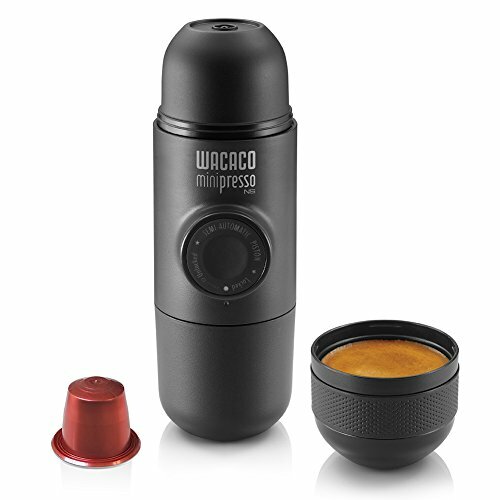 If you want to store your coffee machine away, choose the Wacaco Company MPNS100 Minipresso NS which is very small and comes with a tiny reservoir, enough for one cup. Great for portability, this Nespresso machine makes excellent espresso and is cheap at the price, just $50 (depending on where you buy it from). The downside is it’s a little difficult to operate but once you’ve got to grips with it, you’ll get the process down pat. There’s no milk frother either, so you only get an espresso coffee or lungo, however, it’s delicious and it works fast. 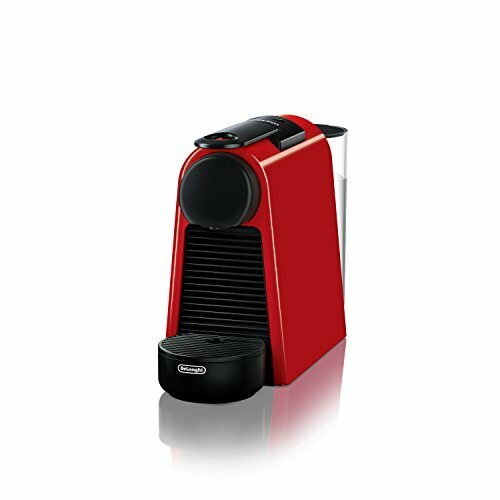 Choose the Nespresso Lattissima One by De’Longhi which isn’t made by Nespresso but is Nespresso capsule compatible. Lattissima One comes with a mid-size reservoir with a single-serve milk frothing system. Retailing at approximately $380 (depending on where you purchase it from) it’s a good-looking machine that’s actually made out of mirrored plastic (although the finish definitely looks like chrome). Yes, it’s easy to clean but for those of you who are incredibly fussy, you’ll hate wiping it again and again! On the upside, this machine takes Nespresso pods and other pods so you can mix and match giving you a few more coffee options. Nice for a modern style kitchen it’s a cool looking machine if you want something that will gain admiring glances from your friends and family. 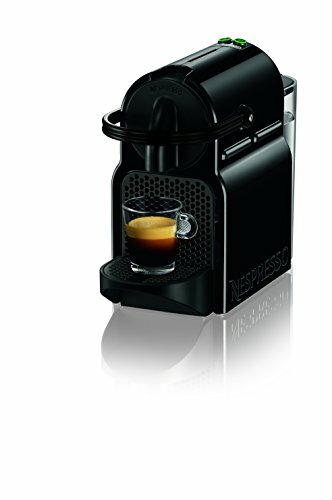 You’ll love the Nespresso Inissia which is a small coffee maker for those who are well, a little impatient! It takes less than 25 seconds for the machine to heat up the water to the right temperature for good coffee and it makes a great tasting espresso or lungo that is of barista quality. It’s also large enough to make up to 9 cups at a time so if you’ve got a small gathering, it’s ideal and it can cope with small cups as well as tall cups. We love the energy saving feature and its class “A” energy efficiency rating too. Retailing at around $120 (depending on here you buy it from) it’s easy to operate and the auto-shut off means you don’t have to worry about overheating. This one is a good, all round, convenient and fast coffee maker. If you don’t have much space or you want something very small, you’ll like the Pixie (RRP $200 depending on retailer). 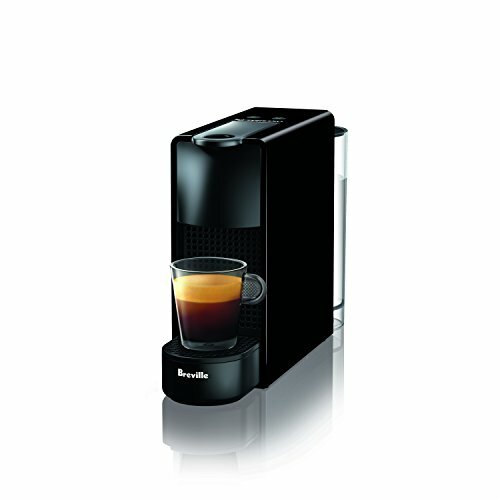 As its name, its small but it’s armed with plenty of great coffee-making features such as programmable buttons so you can customise your favorite coffee drink. It also tells you when the tank needs refilling and it can store up to 11 pods once used, so you don’t’ have to keep emptying it. It’s just 4.3” wide so it really is tiny so don’t expect it to churn out lots of coffee in one sitting! 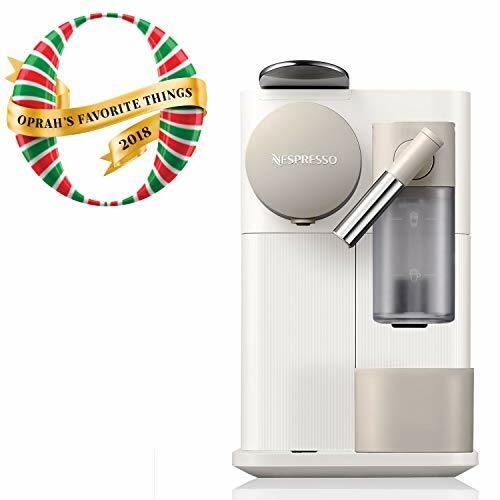 Choose the Nespresso VertuoPlus Deluxe Coffee and Espresso Maker (at approximately $220, depending on where you buy it from) which comes with an army of features including its own milk frother. 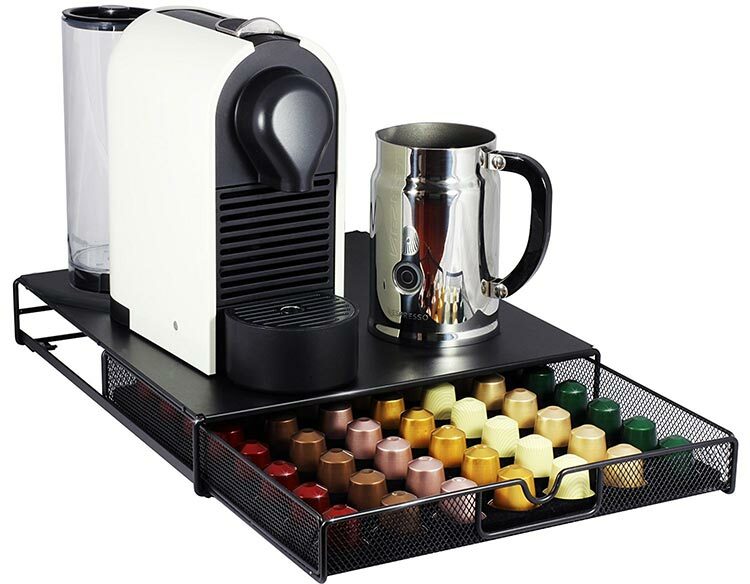 This one uses the Grand Cru Nespresso capsules and it’s capable of making five different cup sizes. When you purchase it, you get 12 capsules to welcome you and you get to enjoy brand new advanced technology so it creates a superior cup every time. This coffee machine uses a special scanner to determine what coffee is to be brewed, which makes it very instinctive and it adjusts its brewer to fit perfectly. All you do is put the pod in, close the lever and wait for your coffee to arrive. The machine can cope with lots of different cup sizes too and you can froth milk hot or cold depending on your preference. With fast heat-up and being easy to clean, it’s a great all-round coffee machine; however, some people do report that it doesn’t produce coffee at the correct temperature. 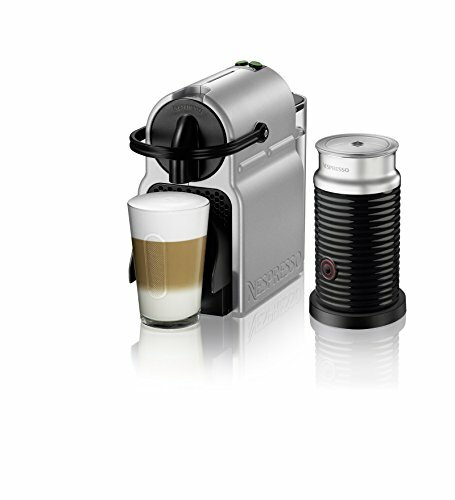 If you like froth and milk, then choose the Nespresso D121-US4-BK-NE1 (CITIZ&MILK) Espresso Maker which comes with an Aerocccino milk frother and makes light of producing hot, milky coffee. Complete with two programmable buttons, you can make espresso or lungo drinks and it also features something called automatic flow-stop so it creates the perfect cup. You just customise the one you want and it delivers. Additionally, you’ll love the Aeroccino milk frother because it allows you to create any milk-based recipe. The coffee this machine produces is as good as, if not better than the coffee you’d get made by an experienced barista and it works super-fast as it heats up in less than 25 seconds. The pod holder takes up to 10 used capsules so you don’t have to keep emptying it. Furthermore, the auto-shutoff is a great energy saving feature and prevents the machine from over-heating. The machine closes down after 9 minutes of idle use. Easy to clean, this one retails at approximately £150 (depending on where you buy it from). 1.4.4 What are the Advantages of Drinking Nespresso Coffee? 1.4.5.1 What are the best Nespresso Flavors? 1.4.5.2 Are Nespresso capsules expensive? The less expensive Nespresso machines are smaller with a small water tank and capsule bin and only make one coffee at a time. They’re fine for a morning coffee or for small dinner parties but if you make multiple cups or want something that can cater for larger gatherings, they won’t work for you. They’re pretty basic, offering one or two different size drinks and usually come without the milk frother option. Small and compact, they’re useful for small kitchens or when you’re limited in space. These mid-priced Nespresso machines usually come with the added bonus of a milk frother for cappuccino, latte, and other drinks. They also have better capacity and can store your coffee preferences in their memories. Some are Bluetooth connectable which means you can control your coffee from the comfort of your iPad or phone! Expect a better quality machine overall, with larger capacity and lots of benefits such as a steam wand, frothing jug, and LCD screens. You also get multiple temperature settings and the ability to make lots of different coffee-based drinks. Now you know about the different price points and which are the best Nespresso machines to buy and why! Nespresso is owned by Nestle and their head office facility is based in Lausanne in Switzerland. The brand prides itself on quality and innovation as well as offering a premium level of customer service. A revolutionary brand, Nespresso was responsible for introducing coffee pod technology with their innovative system that transformed how consumers made their own coffee at home. As well as manufacturing espresso and coffee machines, it also makes coffee capsules (sometimes referred to as coffee pods) for use in their own coffee machines suitable for home use or in offices and similar. When the pods first came to market, they truly were revolutionary providing a pre-portioned single dose of ground coffee beans to make a quick, tasty cup of coffee. The pods were only really designed to work with their own technology. To use them, a consumer would simply place inside their Nespresso machine, press the button which pierced the capsule and then flooded it with heated water to prepare a cup. 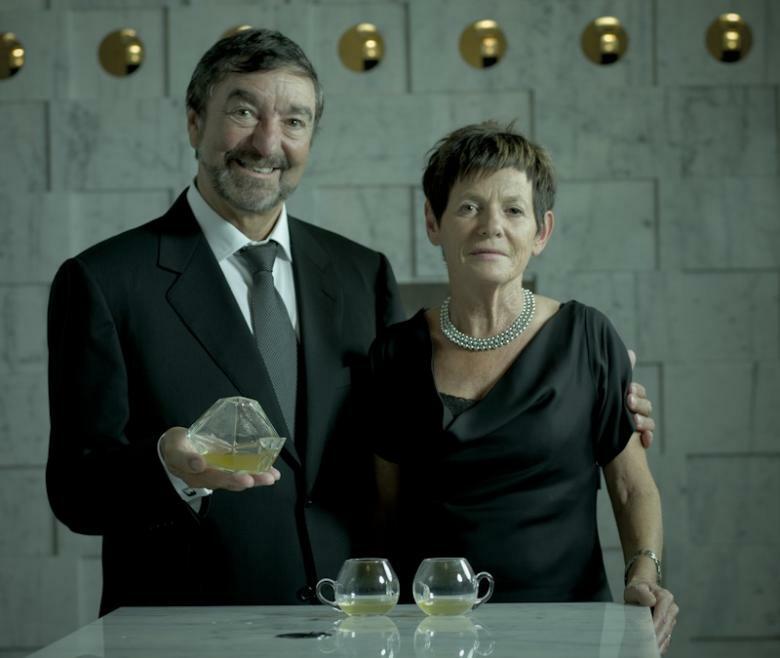 Believe it or not, the very first Nespresso system was invented in 1976 by Nestle employee Eric Favre. Inspired by observing growing queues outside a café in Rome and watching a very experienced barista prepare coffee, he thought that something could be made for home use, to speed up the coffee brewing process while still delivering a fine tasting cup of espresso. At first, his machinery wasn’t very well-received, it was possibly too early for this type of technology to hit the market and it took a further ten years before the concept was tested in Japan in 1986. Following the success, it was introduced in Switzerland and later on the Nespresso system was rolled out to France, Italy, and Japan before going global. Nestle filed first patent protecting Nespresso capsule system in 1996, outsourced manufacturing of the machines to big names like Krups and Magimix, and kept capsules manufacturing, distribution, and customer management strictly in-house. 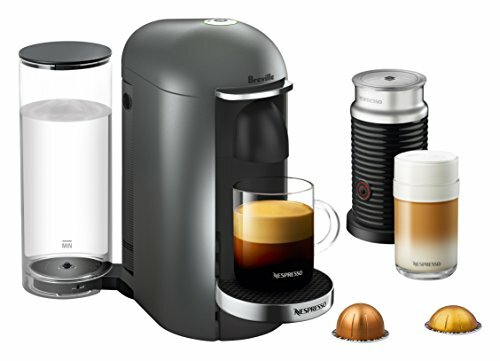 Nespresso does not allow the customer to purchase a coffee capsule from other sources. As a consequence, choice of flavors is limited and there is limited competitive downward pressure on capsule prices. 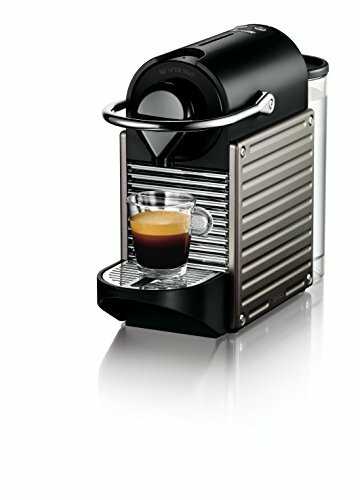 Nespresso seeks to position the brand as an exclusive luxury good. 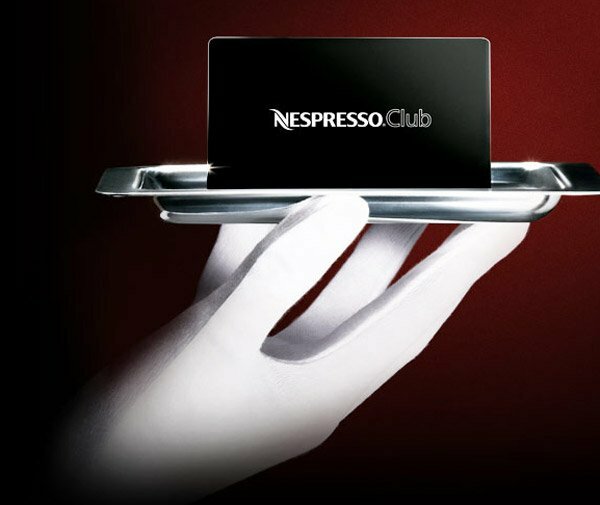 In 1996, Le Club (or Nespresso Club) was introduced to grow a network of coffee connoisseurs and obviously to reinforce the Nespresso Brand. The club offers a wide range of exclusive services to members including machine assistance, access to specialty coffees, easy ordering, news, discounts and of course – anything to do with coffee. What are the Advantages of Drinking Nespresso Coffee? So you think you’re sold on the idea of buying a Nespresso machine but you’d like to understand a little more. What is the advantage of a pod system is there an advantage? Here’s a list of what we believe to be the benefits. Machines are generally easy to use as the coffee machine does pretty much everything for you. Ah – but what about the disadvantages? Let’s take a look at the disadvantages of drinking Nespresso coffee. 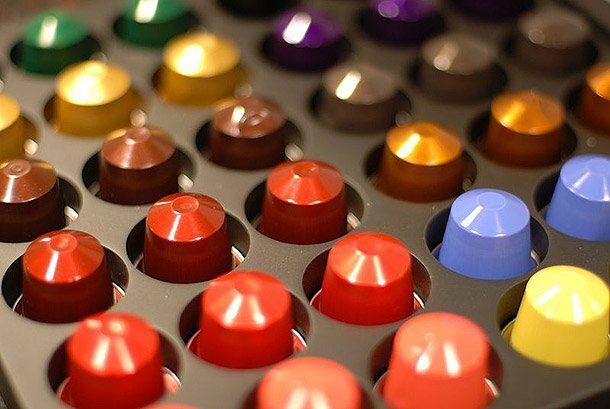 According to market research, the global coffee pods and capsules market was estimated at around USD 15 billion in 2018 and is expected to hit 16.5 billion in 2019, dominated by Nespresso, Keurig Green Mountains, and JDE. Check our best Keurig coffee makers for 2019. Now we’ve been through the advantages and disadvantages of coffee pods, there are a few other things that you need to know. Firstly, the best places to buy Nespresso pods or compatible pods are either online (Amazon, for example, or direct from the Nespresso website) or you can buy from specialist online coffee retailers such as Real Coffee, Gourmesso and the Fine Coffee Club. You might find that some upmarket boutiques sell them too. Some big department stores also sell Nespresso pods. It’s rare that a supermarket stocks them although some online supermarkets do (Ocado for example). If you’re just starting out, it’s a good idea to buy a variety starter pack. This gives you a good introduction to the different flavors and you can quickly work out what you do and don’t like. There are cheaper compatible pods for lots of machines but beware, sometimes something looks compatible or you might read somewhere that it is compatible but it doesn’t fit. Bear in mind that Nespresso’s pods cost around $0.70 whereas the compatible pods are sometimes 50% cheaper with Lidl’s Bellarom being the cheapest. An average household drinking three cups of coffee a day made by Nespresso pods pays $400 a year on those capsules! By switching to cheaper, you can save yourself $250 which is a significant amount of money. However, you might not like the flavor as much as the original pods, it’s all trial and error. There’s also the recycling problem. Nespresso pods are made out of aluminum, and while it’s relatively easy to recycle there aren’t lots of aluminum recycling facilities so it has to be shipped out. The other pods are plastic easier to recycle because plastic doesn’t need to be shipped out for recycling. To get the best from your pods, Nespresso or otherwise, always treat your machine with care and use organic or Fairtrade pods. Keep your Nespresso machine nice and clean and remember to empty the reservoir regularly as well as the pod bin. Always load the coffee pod properly and never force it. If you feel like you’re forcing it, it’s likely not in the right place. If you can, use filtered water, you’ll get the benefits of better coffee flavor especially if you live in a hard water area. It’s also a good idea to warm your machine up before use. This helps with smooth operation including piercing the pod. What are the best Nespresso Flavors? Once again, the decision is up to you, and according to the time you are having your coffee. For example, the Nespresso Ristretto costs $9.99 for 10 espresso capsules, or 0,99 each and knowing that the average Nespresso capsule contains 5 grams of coffee, will cost you about $95 a pound. An exclusive single-origin espresso costs $19 for a 12-ounce bag, or about $25 a pound. In addition, an espresso cup from a café usually has 11 grams while the capsules ranged from 5 to 5.8 grams, so you need more pods to get your normal dose of caffeine. In conclusion, Nespresso is a well-respected worldwide coffee brand that keeps introducing new flavors, machines, and technology. However, the capsules are expensive but if you know where to shop for cheaper, compatible capsules then you can make a significant saving. In general, the coffee that their machines make is absolutely delicious and there are lots of great choices too (in machines and pods). Beware of buying something that doesn’t make multiple cups if you entertain lots of friends but on the whole, purchasing a Nespresso coffee machine opens up a world of great tasting coffee convenience and it’s fun trying out new flavors. The added bonus of joining the Nespresso Club gives you a sense of community where you can try out new ideas, get access to exclusive coffee information and share your own experiences. 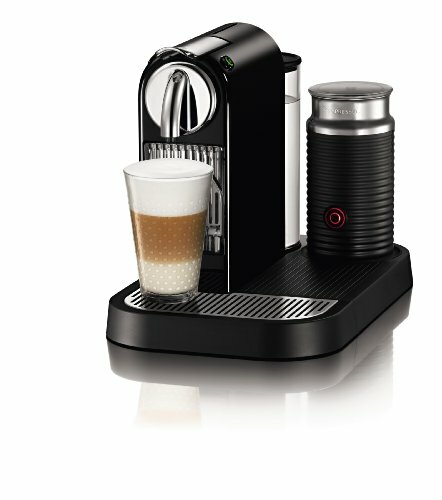 https://www.which.co.uk – How to buy the best Nespresso machine? http://www.bbc.com/news/magazine-35605927 – Is there a serious problem with coffee capsules?